I have been looking at lots of different bedding for our bedroom, but I can't find anything I really like. So when I was in Spotlight yesterday I found this gorgeous green floral fabric and thought I'd give my first pillowcases a try. I winged it by looking at one of my current pillow slips and they turned out fantastic! Why didn't I think of making my own pillow slips before? You can really mix and match your bedding up. These ones would look super cute in my daughter's room too. 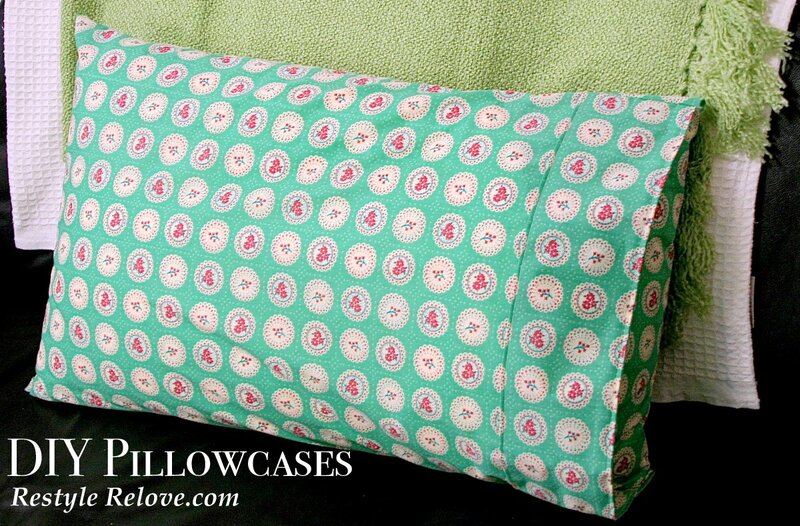 Each pillow case required 1 metre of fabric, and at $7 a metre, I made the two cases for $14. Mustard check bedding is no where to be found, nor is the fabric, so that might have to wait. And I also can't find any pretty yellow floral birdie quilt covers of fabric either. So I've decided to stencil my own. Wish me luck.